The Arbor Vista Apartments (formerly named Timmaron Ridge Apartments) is a 196 unit apartment complex built in 1980 and located on 8 acres in the Lake Highlands area of Northeast Dallas. The apartments are two story wood frame construction utilizing a combination of brick veneer, stucco and painted siding with pitched composition shingled roofs. All units are individually metered for electricity and have separate, individual HVAC units. The property was put under contract in February 2011 by Knightvest Capital of Dallas who has been Panther’s partner in most of our multifamily acquisitions. Knightvest provides onsite property management services and invests alongside Panther who provides the majority of the acquisition equity. Knightvest also obtains the third party debt component for the transaction and provides any guaranties required by the lender. Panther FW Investments and its’ investors provide no guaranties on the debt. The acquisition was closed in April 2011. At the time of closing the property was in receivership with its lender and managed by a third party management company. Occupancy was at 60%. The prior owner had a debt basis of $5.9 million ($30,358 per unit) and paid approximately $7.5 million ($37,878 per unit). The existing debt level was simply unsustainable. 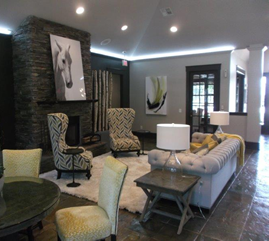 Our partnership acquired the property for $2.9 million ($14,795 per unit) and our renovation budget was $750,000. 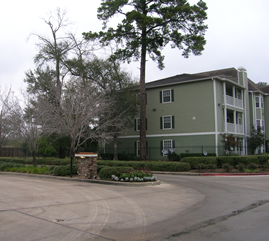 The property exterior was painted, down units were renovated and additional resident amenities were added. The onsite staff was replaced with new personnel and the property name was changed to Arbor Vista as part of the overall repositioning of the asset. Typical of many lender controlled properties, Arbor Vista’s performance deteriorated during the foreclosure process (thus providing an opportunity for Panther and Knightvest). The tenant base was purged of unqualified residents with occupancy falling to less than 30% at the low point. Stringent background checks and income verification were instituted and a turnaround began which resulted in the property achieving 95% occupancy within 18 months and substantial growth in revenue. We received a commendation from the City of Dallas and the Dallas Police Department as an example of how properties can undergo successful repositioning which benefits the neighborhood, tenants, and property ownership. Arbor Vista reached stabilization at the end of the second year of ownership and proceeded to meet and exceed original occupancy and revenue growth projections. It was decided by all of the partners that the property was positioned to sell into a healthy multifamily market. The property was listed with a national brokerage company and went under contract the summer of 2013 and closed in October 2013. The property was 95% occupied at the time of closing and sold for $7,550,000 ($38,520 per unit). The investment exceeded our projections in both annual return and investment holding time. The Panther limited partners received an annual return exceeding 27.00% and a multiple of 1.69 over 30.5 months. Arbor Vista Apartments – Dallas, Texas from Transwestern Dallas Multifamily on Vimeo.